Alberto Contador has been confirmed as special guest for this year's Mallorca 312 sportive. Madrid-born Contador is among the greatest cyclists in history with two Tours, two Giros and three Vueltas to his name. He will wear bib number 312 as he rides alongside 8000 participants in the 10th edition of the hugely popular early season sportive. Alberto Contador will join 8000 cyclists on this year's Mallorca 312 sportive. Alberto Contador began his professional career in 2003. He amassed an enviable palmares with 67 wins, including seven grand tours, beating rivals such as Andy Schleck, Chris Froome and Alejandro Valverde to become only the fifth rider to win the GC in all trhee three grand tours (only Vincenzo Nibali has since followed suit). The rider from Pinto's track record also includes four Vueltas al País Vasco (2008, 2009, 2014 and 2016), two Paris-Nice (2007 and 2010) and one Tirreno-Adriático (2014). Mallorca 312 celebrates its tenth anniversary this year. The sportive will take place on the 27th of April 2019, with three routes, measuring 167, 225 and 312 kilometres. 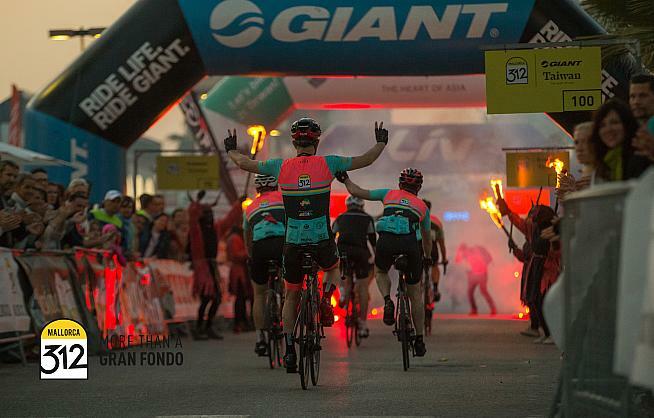 Thousands of riders travel from across Europe and beyond each year to take part in the challenge and experience the stunning parcours, including the famous climbs of the Tramuntana mountains on the island's northwest coastline. 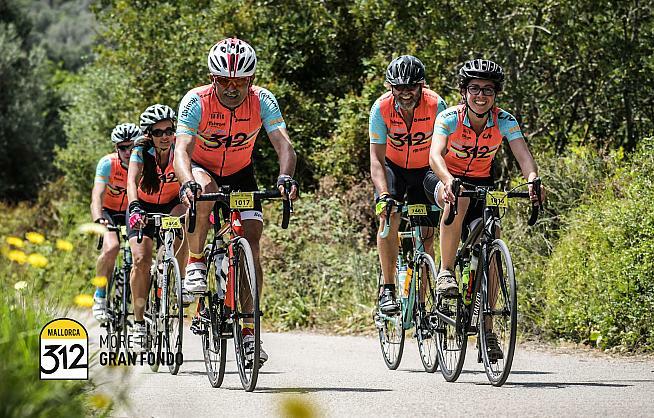 Such is its popularity that the Mallorca 312 is fast becoming one of the biggest and most eagerly anticipated events in the cycling calendar - as demonstrated by the fact that entries to this year's ride sold out in just six days. Riders cross the finish line after an epic day in the saddle on Mallorca. For more information and to join the waiting list for this year's Mallorca 312, visit www.mallorca312.com. To receive notification when entries open for Mallorca 312 and other major UK and European sportives, register with Sportive.com.